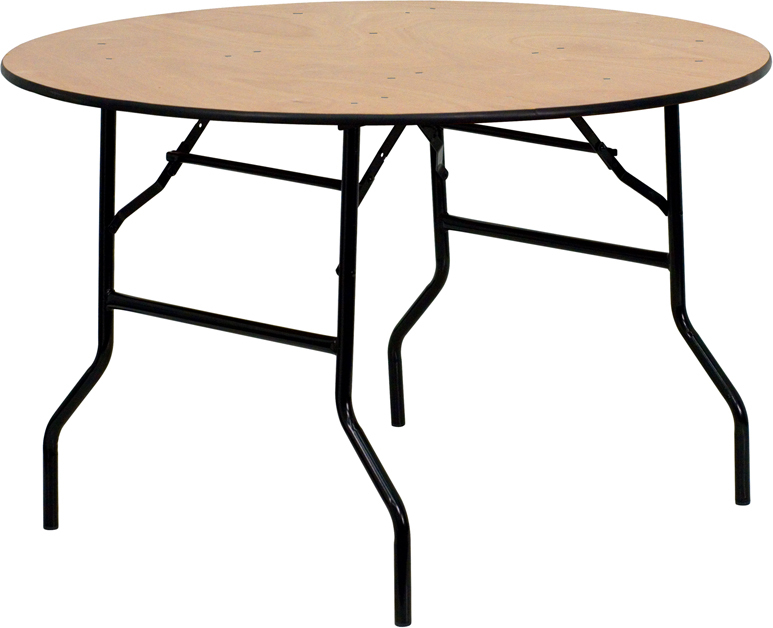 Banquet Tables Pro most popular 48" diameter round folding table. This table features a 3/4 thick lacquered plywood top, and black PVC edge. Generally, 48" round tables are not as common as larger tables(60 or 72). Designed for commercial, rental, restaurant & all heavy duty use.